​What to look for when booking a fishing lodge. Fishing Charters. You don't want to spend your hard-earned money on your dream fishing trip to find out the waterways are empty when you wet a line. It's super important to pick a fishing lodge located somewhere that offers access to a varierty of fish species in abundance, ideally, where the fishing is sensational year-round. Usually the remoter the location, the better the fishing. Check out our article about the NT’s top fish species (hint: they’re all absolute crackers). We're not talking speccy views here (although Cobourg Coastal Camp delivers them in spades) - we're talking close proximity to top fishing spots. Think about the types of fish you're hunting and whether you're going to find them on the blue water, in a billabong, along rivers or among mangroves – or all of the above! – and choose your fishing lodge accordingly. Less time travelling = more time fishing! Tapping into local knowledge can make or break your fishing safari experience, so it's best to pick a fishing lodge that is hosted by the best guides in the business. It's these guys who know the surrounding waterways, understand the local conditions, and can provide advice on bait and tackle, so you can grab the best haul possible. Lots of fishermen = too many lines in the water = less fish for you. So look for a fishing lodge that has restricted guest numbers. After all, there’s no greater feeling of freedom and remoteness than heading out on the water and not seeing another boat for days. At Cobourg Coastal Camp, it's ok if you don’t like sharing; we only accommodate a maximum of two groups at a time, so you don't have to share this magnificent space - or any of our secret fishing spots - with anyone else. Fishing is hard work, and somebody's gotta do it – but it doesn't mean you need to schlep it in dodgy digs. Look for a fishing lodge that has all the comforts of home; a soft bed, hot shower, and – most importantly – cold beer! If you're looking for a hassle-free fishing experience, book with a lodge that takes care of all the hard stuff like charter flights, permits, boats, transportation, tackle, bait and meals. This way, all you have to do is enjoy your time on the water. 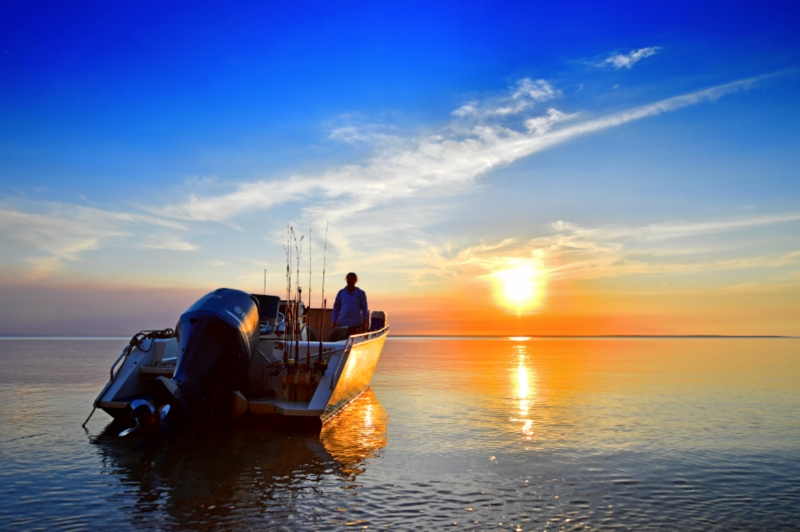 Cobourg Coastal Camp is located on Cobourg Peninsula; a part of the Northern Territory known for its sensational fishing and gob-smackingly beautiful scenery. So whether it’s a trip with the boys or a family fishing adventure, we can tailor an experience based on the species of fish you want to catch, the types of waterways you want to fish on, and the level of experience in your group. Enquire or book with us today.